AS SEEN ON HGTV's hit show ISLAND LIFE! Featured in the 2017 Haven magazine, built by Whitney Blair, interior by Southern Studios. 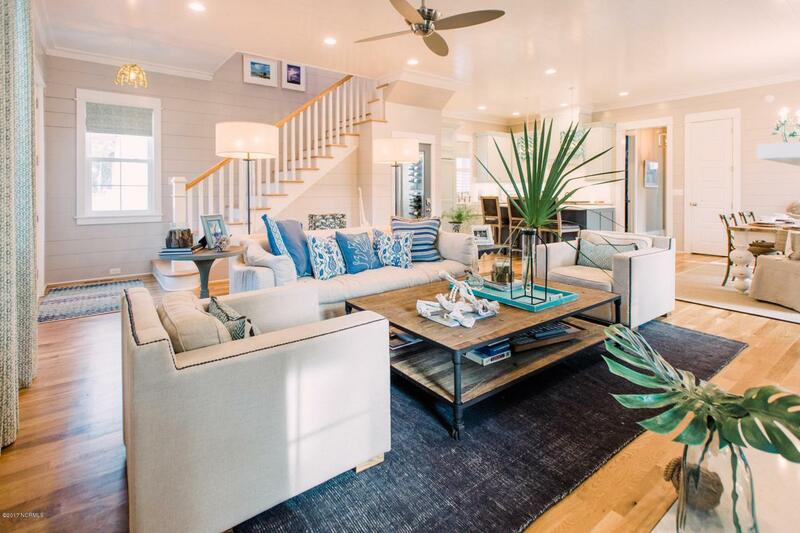 This home is dripping with coastal elegance. Plenty of room for family and friends with 4 bedrooms and 3.5 baths. Located on a corner lot in the coveted Southern Living Inspired Community, the home's interior includes a 1st floor master suite, an open floor plan with ship lap walls, 10' ceilings, white oak floors, quartz counters, frame-less glass showers. Top quality appliances, and a custom temperature controlled wine room. 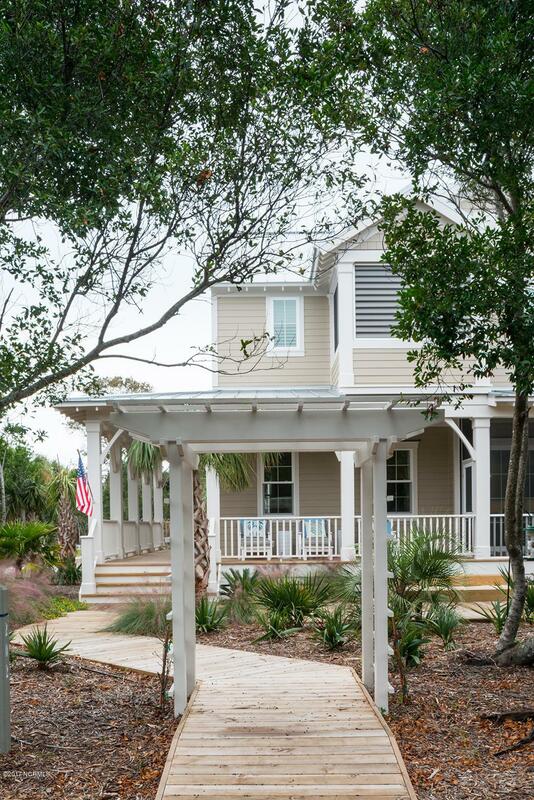 Relax on the wrap around porch overlooking The Common or grill dinner in the custom outdoor kitchen. Close to Shoals Club and East Beach accesses. Furnished with exclusions. 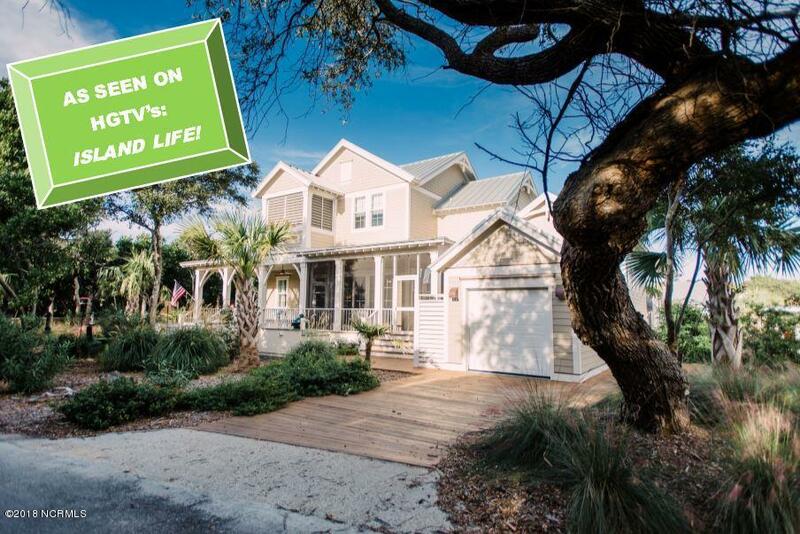 Shoals and BHI Membership available.Offered furnished w/some exclusions. Full BHI Club and Shoals Club memberships available separately. 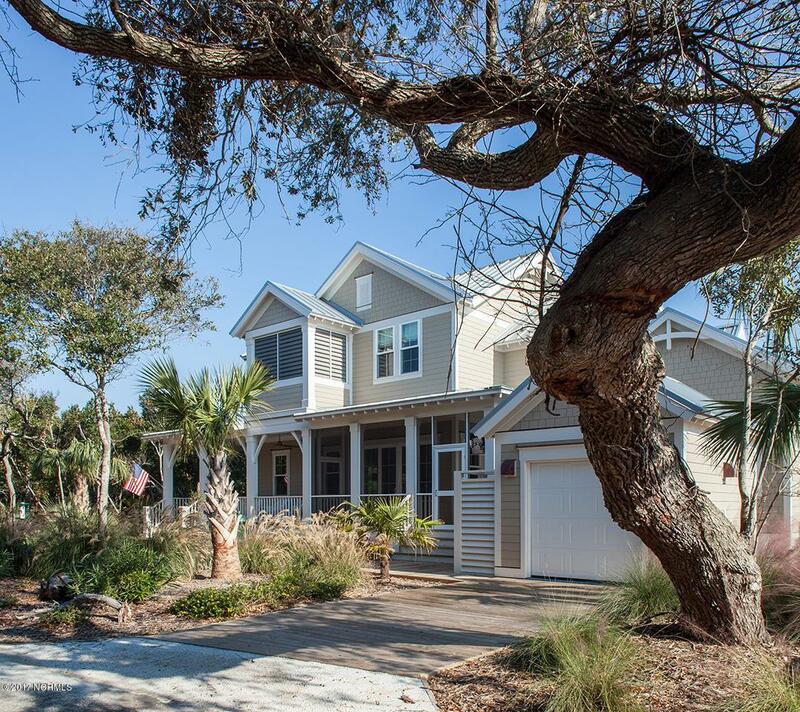 Listing provided courtesy of Stephanie Blake of Bald Head Island Limited Real Estate Sales.